If one wanted an example of a positive deviant, i.e. a person on the leading edge of the bell curve, in emergency medicine education, Michelle Lin, MD would top the list of potential candidates. I am very fortunate to look to her as a friend and virtual mentor as I develop as an academic clinician. She has her own amazing blog: Academic Life in Emergency Medicine, which you need to check out now if you haven't already. 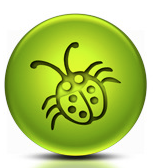 Recently, she put out a request for clinicians to report on their favorite apps for a presentation she is working on. I figured this would be the least I could do to help out. 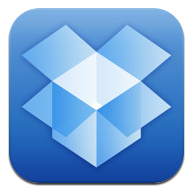 DropBox: This is a great "cloud" file hosting app and program. Download both to take full advantage of the program. The program works just like a usual folder on you desktop but once a file has been placed inside, it syncs with the cloud and your files magically appear on any computer or device that has dropbox installed. Also, you can share your files. I recently uploaded an entire folder of "Resident as Teacher" articles to share with another EM guru. This prevented me from having to attach lots of files to an email and send them to him. 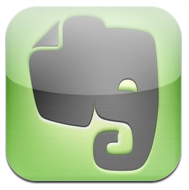 Evernote: Michelle has talked about this app at length but I figured I would share my .00002 cents as well. Evernote is my go-to note program. Like Dropbox, use the desktop program in addition to the app. It allows you to add PDF files, pictures, and free text and then put them into notebooks, tag them with memory clues, and free text search them. Here's the real sweet part though: the company has made add ons for your internet browser that allows you to "clip" an entire webpage of portions of text from online and saves it to the program automatically. Medical Mnemonics: This program is a lot of fun. I often have a hard time remember mnemonics which makes them more difficult to use. Not any more. This app lists them all and also allows you to use your own. You can also search by condition: Ranson Criteria anyone? GA LAW comes right up. For more "mnemonically" oriented learners, I can share this with them to their hearts content. MediMath: The app has calculators galore. It's almost as good as mdcalc minus the clinical risk stratification tools that are located on that site. 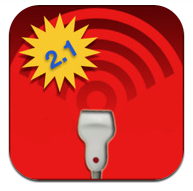 Its interface is quick and easy to use. Persiflagers Annotated Compendium of Infectious Diseases: One of my two antimicrobial guides. 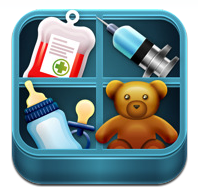 This app is written by an infectious disease specialist with a wonderful sense of sarcastic humor that he writes into his advice on treatment in the form of Rants. For example: Necrotizing Fasciitis and hyperbaric therapy, "I said it was great for the bends, but primarily served to make hyperbaric doctors richer. Why do you ask? Turns out he was the medical director for a hyperbaric chamber. Oops. Open mouth, insert foot." Beyond the therapy, his recommendations are up to date and cover the spectrum of possible causes. 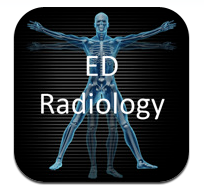 Radiology 2.0: One Night in the ED: This is a case based app that reviews pathology on abdominal and pelvic CT scans. The images display beautifully on the iphone and even better on the ipad. If you have a learner who wants more, sit them down with this for a few minutes. Perfect OB Wheel: The best OB Wheel I've found. It lets you enter the due date, LMP, or even the current weeks and gives you the remainder of the missing information. It also gives you an estimate of the fetal size. Pretty cool. PediSafe: This one is an ipad only app but is really pretty spectacular. It takes the Broslow Tape colors and gives you all the information up to 99 kg! That would be a VERY big kid. 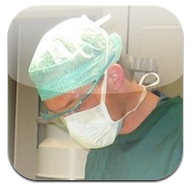 Apps like this one really have helped make practicing medicine a little safer. 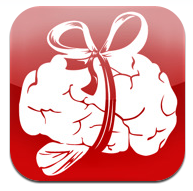 Neuromind: Written by a neurosurgeon, this app contains all the neurological scores you need. Also included are some nice anatomical diagrams to demonstrate relevant anatomy, dermatones, etc. 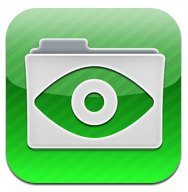 GoodReader: This is another ipad only app but is my favorite reader. Since our curriculum is so heavy on literature, I read a LOT. This program helps me to save paper and my notes since I can highlight, markup, and add notes to the PDF files. Eye Handbook: A great reference to all things ophtho. I like the toolkit is contains as well as atlas to help demonstrate the exam findings that I discuss with my residents. 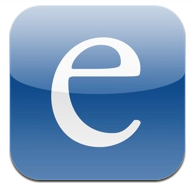 Epocrates: I think everyone knows this app and either uses it or chooses not to. I'm in the former group. I like the fact that I can do an interaction checker through it as well. Stroke Track: Written by an EM physician and it shows. 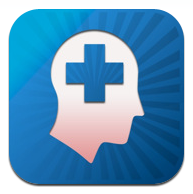 The app gives you all of the contraindications to tPA use and puts a real time NIHSS calculator in your hand. It even gives you hints on how to perform the exam! 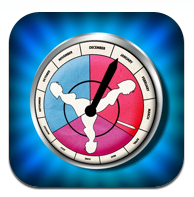 SlowMo: I learned about this app from Scott Weingart, MD, of EMCrit fame. A few podcasts back he talked about vestibular stroke and physical exam findings. One of the problems with the exam is actually seeing what the eyes are doing. 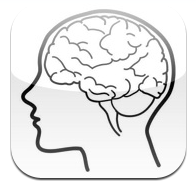 This app allows you to slow down a video taken on your iphone/ipod touch and see exactly whether the reflex is expected or pathological. 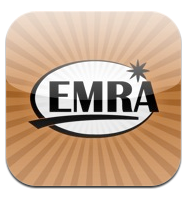 EMRA Antibiotic Guide: My second go to antibiotic reference. Simple, well thought out, and designed by the future leaders of our professional. It's updated annually. 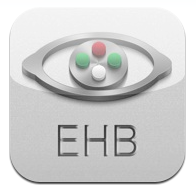 Emergency Medicine Ultrasound: A nice little gem of an app. I recently came by this one and have found it useful to teach residents about ultrasound. 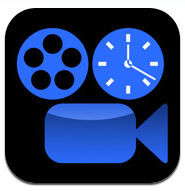 It includes video in addition to still pictures and text. What do you see when you look at a bell curve? In a perfect distribution, there are a lot of numbers under the bell and very few at the edges. When looking at clinical performance, we all want to be on the leading edge of the curve. This blog is dedicated to the pursuit of that leading edge: the positive deviant. Join me as we explore topics related to becoming a better academician, running a better emergency department, making emergency care safer, and becoming a leading force for change. Patient Safety: Whose Job Is It Anyhow? 2011, Rob Cooney. Awesome Inc. theme. Powered by Blogger.